Group interviews are a cost-effective way for prospective employers to get a good grasp of a candidate’s personality and level of professionalism. Conducting group interviews allows employers to test a wide range of skills, including teamwork and communication. Read on to learn the 5 ways you can stand out in a group interview and make a lasting impression among your peers. It may sound simple, but a good self-introduction should be well-rehearsed. It is important to make your introduction short enough for an interviewer to remember, but include enough details that prove you are a good fit for the position. You might have heard people refer to this personal introduction as an “elevator pitch”. A group interview will put your listening skills to the test. From introductions to individual questions, it is important to stay alert and listen carefully to all the answers. Referring to other candidates by name shows that you are personable and attentive. Timing is key, especially in a group interview. Answer first every once in a while to show your confidence, but be sure not to overdo it. It is equally as important to show that you are a respectful team player who cares to listen to what others have to say. Take advantage of opportunities to show that you’re a supportive team player. In a group interview, it is okay to show your support for the competition if you agree with their answers. Do so by acknowledging them by name and building on their response. Instead of being stoic and letting your nerves get the best of you, take the extra effort to smile and nod if you agree with some co-interviewees responses. 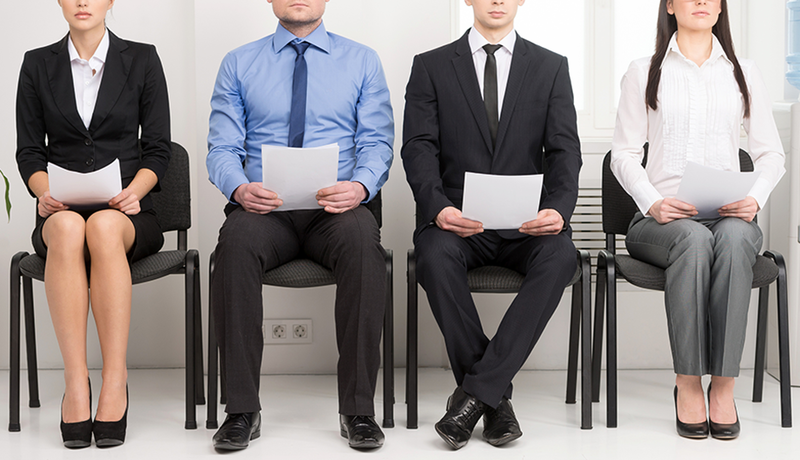 Be sure to remember tips for interview etiquette like sitting with your back straight and not crossing your arms. A group interview shouldn’t be looked at as any lesser of an opportunity than a one-on-one interview. It provides you with the unique opportunity to show off skills like teamwork that would be much harder to prove in a more personal, one-on-one interview.